Enver Akalin, MD, earned his medical degree at Ege University School of Medicine in Izmir, Turkey. He completed a research fellowship in the Renal Division at Brigham and Woman’s Hospital, Harvard Medical School, followed by a clinical fellowship in the Renal Division at Boston University School of Medicine. Dr. Akalin completed his residency in Internal Medicine as well as a clinical transplant nephrology fellowship in the Renal Division at Emory University School of Medicine. Dr Akalin is a UNOS certified transplant nephrologist, and brings to Montefiore more than a decade of expertise in kidney and kidney-pancreas transplantation. Prior to joining Montefiore, Dr. Akalin served as the Medical Director of the Kidney and Pancreas Transplantation Program and the Director of the Transplant Nephrology Fellowship at Mount Sinai School of Medicine. Dr. Akalin is board certified by the American Board of Internal Medicine and the American Board of Nephrology. 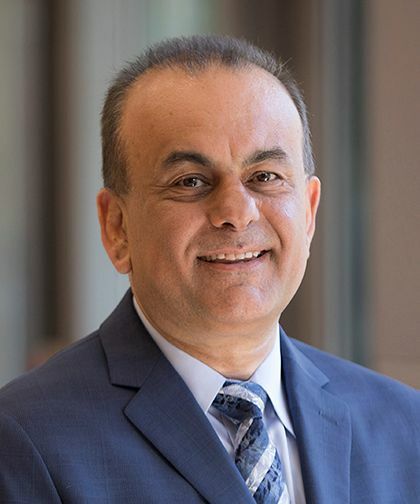 Dr. Akalin is a member of several societies, has served on the American Society of Transplantation Clinical Trials Committee and Renal Accreditation Committee, the American Society of Nephrology Transplant Advisory Group and the Medical Board of New York Organ Donor Network. He currently serves on the Editorial Board of the Clinical Journal of The American Society of Nephrology and Transplantation. Dr. Akalin has been the principle investigator in several trials and has written numerous articles on complex issues in kidney transplantation.